How to download free youtube/vimeo mp4 movies for android? MP4, also commonly known as MPEG-4 Part 14, is a digital multimedia file format based onMPEG-4 standard*, and its official filename extension is .mp4. Now, MP4is mainly used for storing digital audio as well as digital video. Since MP4 can ensure people a similar quality and effect to DVD with nearly 4MB compression ratio per minute, currently, it is still the mainstream video format used and supported by video websites and mobile video players.Generally, MP4 format comes with the features of high compression ratio, quality and compatibility. Throughout the whole marketplace, almost all mobile devices and media players support MP4 format. *MPEG-4 is a set of standard for a group of audio and video coding formats and compression definition. It was formulated in late 1998 by the ISO/IEC Moving Picture Experts Group (MPEG) (ISO/IEC JTC1/SC29/WG11). 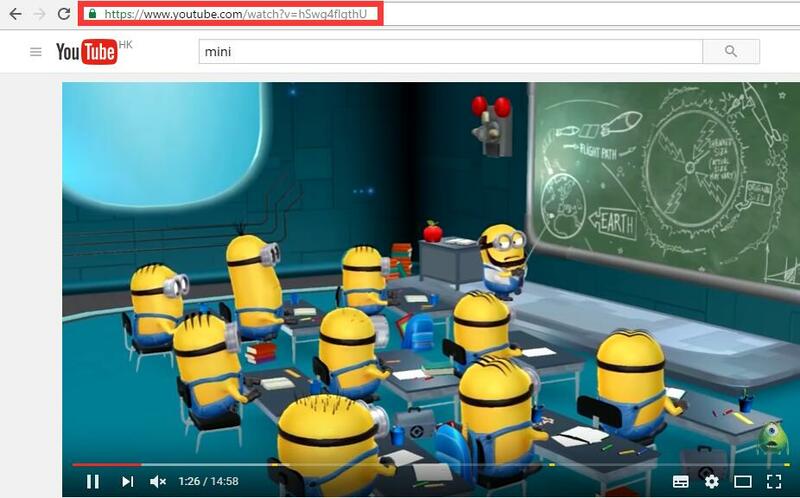 YouTube is the world’s most popular video-sharing website that has billions of viewers. The available content of YouTube includes music videos, audio recordings, movies, TV show clips, video clips, original videos, educational videos and much more. Most of the YouTube content is uploaded by individuals, and famous organizations and corporations like BBC, CBS and etc. provide their materials and videos via YouTube as well. 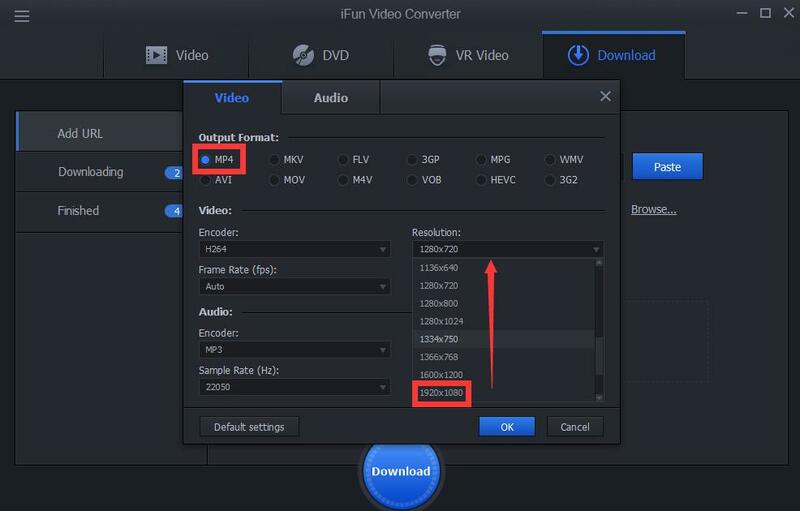 Since iFun Video Converter does well in download various kinds of movies online, it’s needy for us to download youtube movies in our android device. Nowadays, android device is generally playing movies with Mp4 format and the resolution of 1080P, so we can just choose the right format and resolution of a movie to enjoy a nice watch. Vimeo is one of the biggest and most popular HD video-sharing websites that allows users to upload, view and share videos. For some certain reasons, you may want to convert Vimeo to mp3, and enjoy voices without accompanying Vimeo videos. 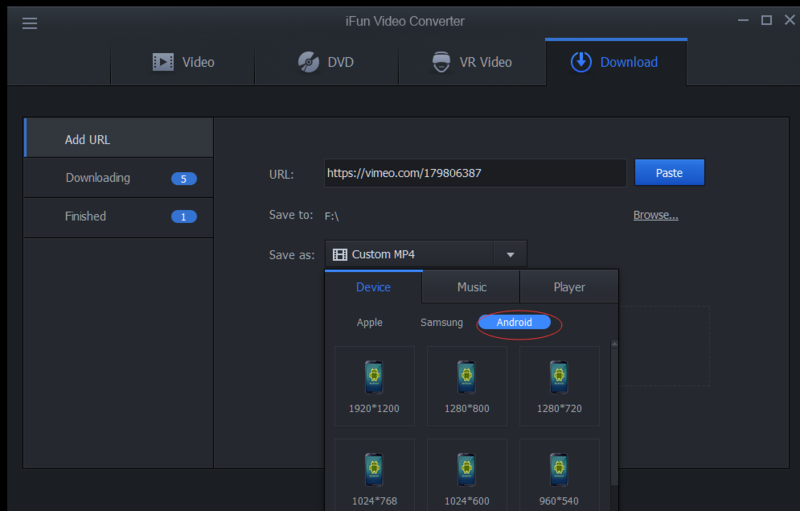 Now, you can download Vimeo videos and convert them to MP3 files with just one tool, iFun Video Converter. How to Download vimeo video to mp4 format video for playing in Android phones? 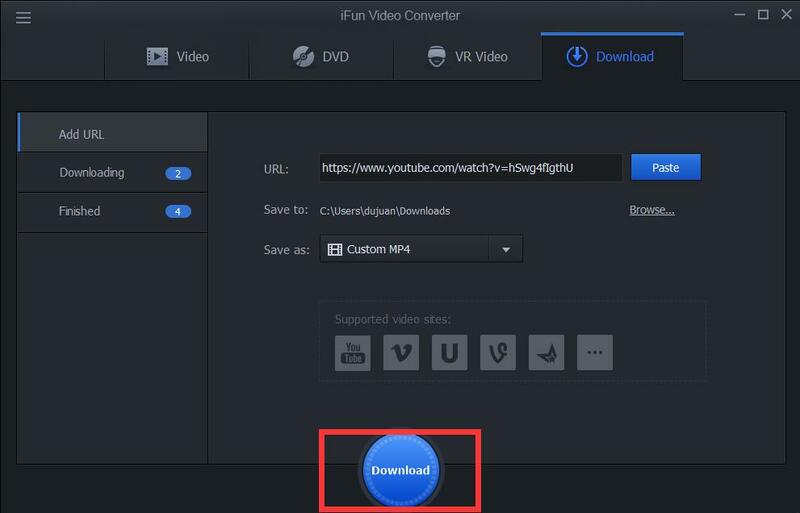 First of all, open iFun Video Convert first and copy the url of vimeo video you'd like to download and iFun Video Convert will help you plaster your url automatically. Second, select "save as" option and click Android option and choose the definition of your android devices. Third, click "setting" option and choose output formats as mp4 format, after you finished it, choose Download option.